Kinivo BTE40 Bluetooth In-Ear Headset provide high quality audio wirelessly from your phone, tablet or laptop. 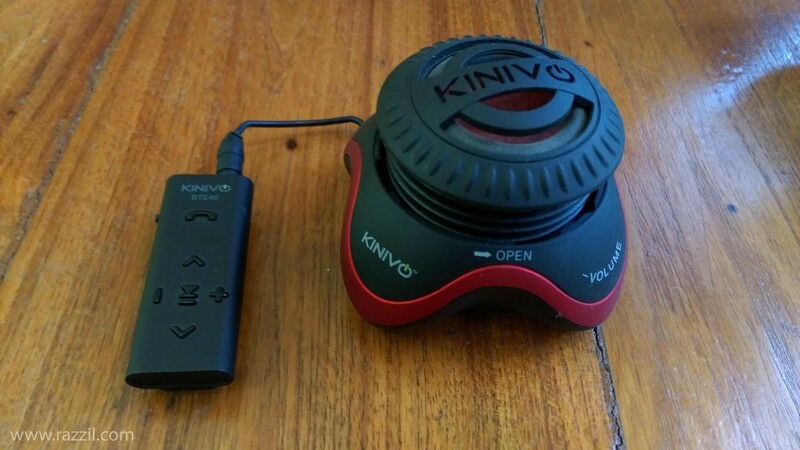 The Kinivio BTE40 is not only transform your headphone or earphone into wireless device but also any speaker. This is very useful as it turns any home system into a Bluetooth-enabled device. 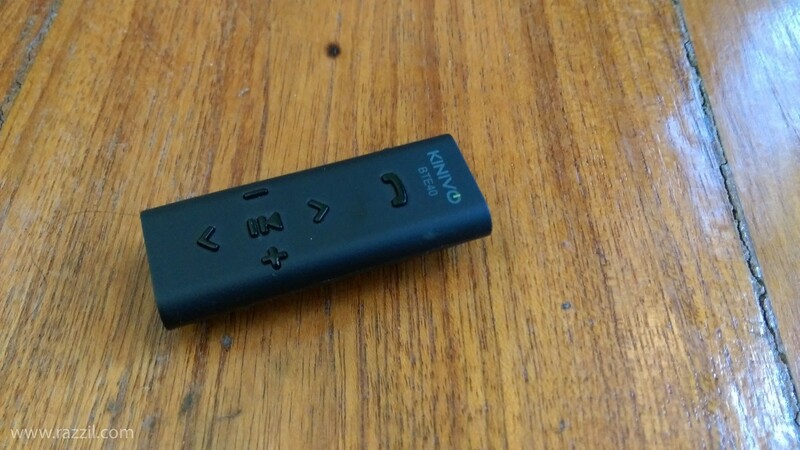 Kinivo BTE40 has a tiny module with all black touch matte finish with music controls like Play/Pause, Next/Previous, Volume Up/Down button. There is also a button to pick up the call. The tine device also has in-built battery, 3.5 mm port and Micro USB port. You can charge the device by standard Micro USB port. Complete design is nicely done in a small package which is easy to handle and also light in weight. The box also earphones with sliver top and white ear tips and Micro USB cable. The package also included a couple of 3.5mm to 3.5mm cable so that you can connect the Bluetooth device to a home theatre system or your car stereo system. This is an easy way to convert any device into a Bluetooth enabled device. To get started, you’ve to charge the first device with a USB charger. There is no charger in the box, you’ve to use your smartphone charger. When you connect the device to a charger, the small red LED will glow and once it’s fully charged it’ll turn into blue. Once the device is fully charged, you can enjoy the music for up to 6-7 hours of listening time. Kinivo claimed that Lithium-ion battery gives you 5 hours of talk time and 200 hours of music playback. The earphones you get inside the box are as good as you get the earphones in your smartphone. I’m using it with my JBL Tempo headphones. If you don’t have good headphones at your home, then you can use this device with your stereo speakers too. The Built-in noise cancelling microphone did its job perfectly. It allows you to make hands-free call and when the phone rings it’ll automatically pause the music. Simultaneously connect two devices at the same time. Use it with earphones, headphones, home theatre or car stereo system. No auto power off functionality. 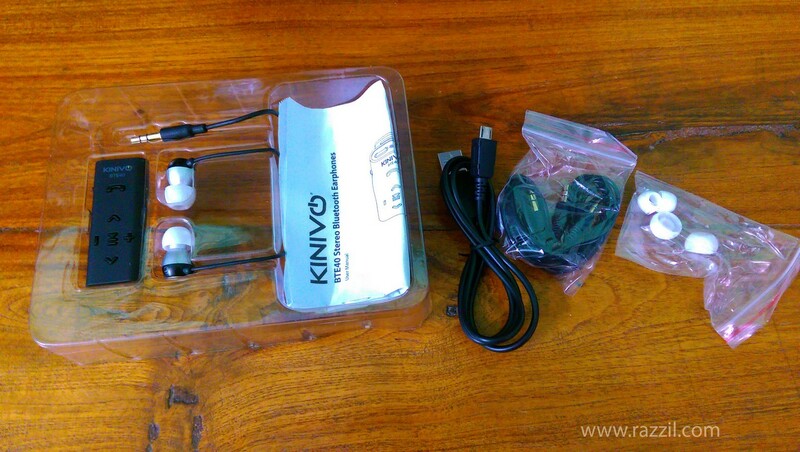 Kinivo BTE40 Bluetooth Stereo Headphones are the perfect device at an affordable price. 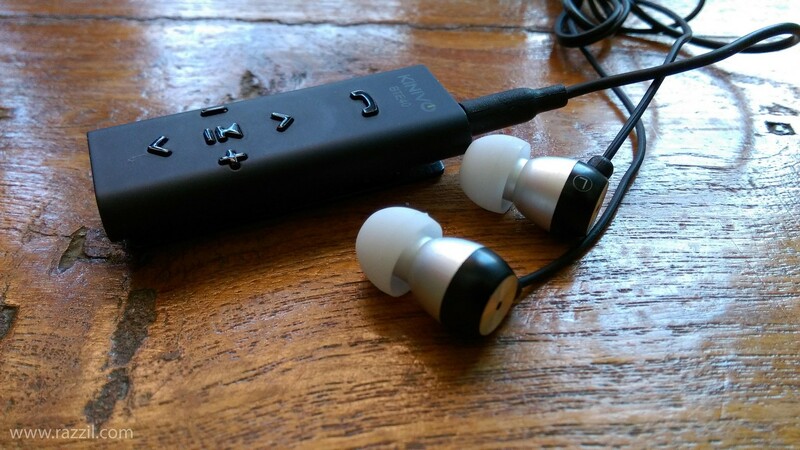 You can use this tiny device with your headphone, home theatre, computer speaker or car stereo system.